Puma drops their latest The List, nicknamed the "Gold Classic Pack" for the metallic leather linings and optional gold laces. 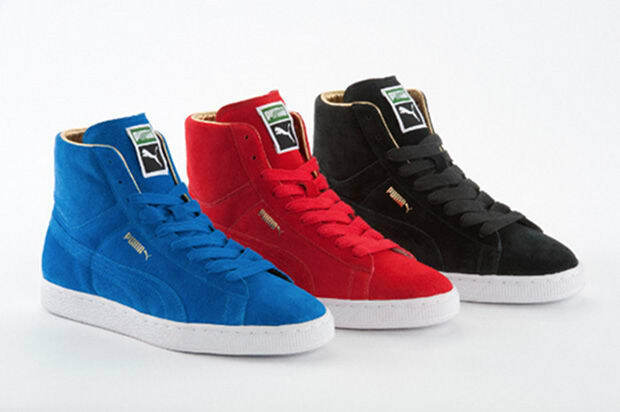 Puma comes with the Basket Low and tonal Suede Mids, with colors inspired by MVP basketball trading cards. Currently available at select Puma retailers including Berlin&apos;s Solebox.